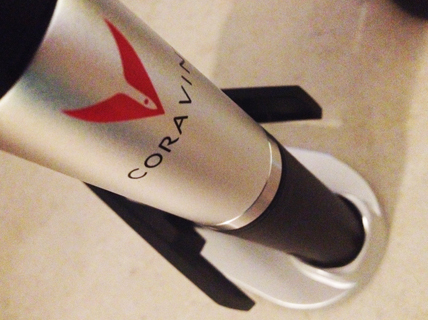 Coravin is a new wine opening device that is designed to allow you to withdraw as much of the wine from a bottle as you wish to drink, and leave the rest intact and inert for the future. A brilliant idea! If it works! Well, the good news is that it does work. As an MW, I was sent a Coravin to try, in exchange for giving my honest opinion of it. It transpired that a few (7) bottles have shattered on using the Coravin system, and one of these had ‘caused lacerations’. The company issued a press release advising customers to stop using Coravin, until they had found a solution. 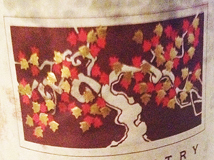 This is to be a neoprene sleeve to place over the bottle before use. While this will stop anyone getting cut, it won’t stop shattered bottles making a mess, or the loss of the wine, so it seems like a bit of a halfway house solution in some ways. However, we all know how litigious Americans can be, and 7 out of the many thousands of bottles that must have been opened in this way is a small percentage. Given the likely age of the wines in question you have to wonder how many of these bottles might not have broken anyway. Who hasn’t chipped the neck of a bottle using a waiters-friend corkscrew? Coravin works by inserting a needle through the cork (and capsule) and then withdrawing the wine using gas pressure, with an inert gas (argon) replacing the volume withdrawn, and preventing the remaining wine from subsequently oxidizing in the bottle. As I discovered, the device appears to give the user the opportunity to add more gas (or not) into the bottle seemingly at will. I’m not sure whether the bottles that shattered did so because of pressure from not enough gas, or too much. I can imagine that if people continued to use the device once it had run out of gas it might cause a problem. Anyway, I already have a neoprene sleeve, a sense of adventure, and a kitchen that could probably do with a thorough clean in any case, so I naughtily decided to have a go using my Coravin. It is a sturdy thing and beautifully machined. It looks and feels like a serious piece of equipment and was very easy to set up and use. The wine came out perfectly (I had to squeeze the gas trigger a couple of times, which I guess is normal). The wine tasted great. The important thing of course is whether what remained in the bottle continued to taste great, which is why it has taken a few days to write this blog. I opened the bottle last night and finished the wine. It tasted exactly the same as the first glass, poured a week earlier – easily enough time for wine to have oxidized or discernibly to have begun its journey to vinegar if the system had not worked perfectly. I worry, though, about the possibility for misuse. With all the recent scandals of fraudulent and fake wine (Rudy Kurniawan and the White Club), the moment that someone manages to ‘reverse engineer’ a Coravin – which looks fairly straightforward to me – even a syringe with the same sized needle would do – then people could theoretically drink the contents of a valuable bottle, refill it with something cheap and sell it on or return it without anyone being the wiser. People could top up bottles whose levels have dropped (a sign of wine in likely less good condition) and the auction market will get compromised. If this has occurred to me, it will have occurred to other more devious minded people, I’m sure. Although rather like people who commission art theft only to acquire a painting that they can never admit to having and need to view in secret, people who abuse the Coravin system are going to be sad in many ways - the joy of wine is in its sharing after all. It’s not any particular device’s ‘fault’ if unscrupulous people use it for nefarious ends. Nor is Coravin the first wine opener that can be so abused – the famous wiggle-and-twist corkscrews will allow the extraction of a cork with no obvious puncture mark. I certainly hope the makers get over the whole explosion issue, which seems to have been massively overplayed by a mischievous press. I remember once, when I represented an American sparkling wine, that we had to change the wording on its back label to include ‘do not open with a corkscrew’, because someone had, and had then threatened to sue over the inevitable consequences. 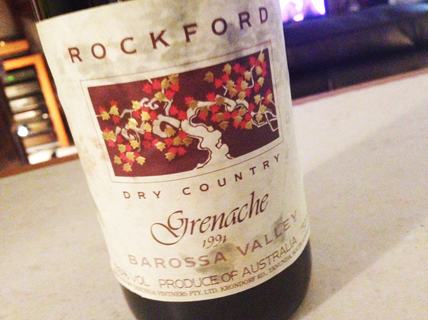 I’ll report on the wine in a separate post – it was memorable and delicious.